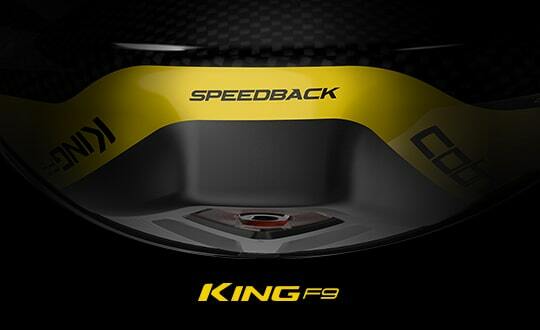 The KING F7 Driver debut's as COBRA's first connected golf club, powered by Arccos technology. Equipped with 3 Center of Gravity settings for maximum distance. TeXtreme Carbon Fiber yields a 20% lighter crown allowing more weight to be redistributed lower and deeper into the club head for a lower CG and extreme distance and forgiveness. A re-engineered Forged 8-11 Titanium E9 Face is a variable thickness structure that is designed to be lighter, thinner, and hotter. A larger Sweet Zone across the face results in increased ball speed and distance on off center hits. Tune your trajectory and launch with eight different loft and lie combinations while maintaining a square face at address. COBRA’s MyFly8 technology coupled with SmartPad is the easiest way to dial-in distance and hit straighter drives down the fairway. With COBRA CONNECT Powered by Arccos, golfers can automatically track the distance and accuracy of every drive. 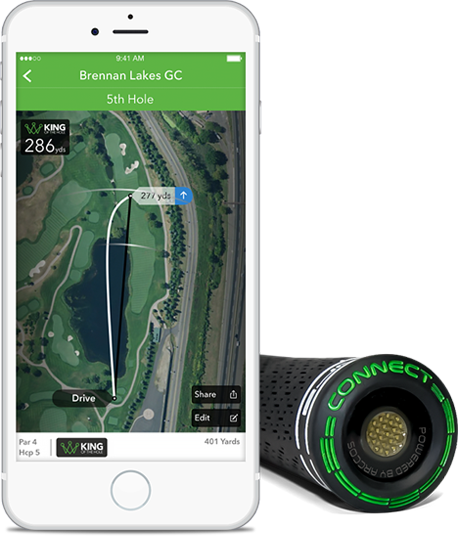 COBRA CONNECT users simply pair their club with the free Arccos Driver smartphone app to receive their performance data, access rangefinder GPS distances for over 40,000 international courses. Three different center of gravity (CG) settings in the front, back and heel positions produce three very different ball flights. Move the heavier 12g colored weight to the front position for a lower, penetrating ball flight with less spin and more roll, or place the weight in the back position for a higher, towering ball flight with added spin for more carry. Lastly, when moved to the heel position, it works to create more draw spin to correct a slice by delivering straighter drives. Customize your KING F7 Driver with different weight options: 8g, 12g (stock weight), 16g. Available here. I recently purchased the Cobra F7 driver as an upgrade to my F6; but mainly because it was on sale. The F6 was a very forgiving driver, but it did lack explosive distance. The F7 is more forgiving & I have gained about 10 yards in distance. Probably due to the lighter head & swing weight. I have owned 3 different Cobra drivers. I have also used Taylormade, Callaway popular models. I always come back to Cobra divers because they Feel better off the ball. I don't have to try to swing hard with this F7 driver to get good distance. Golf is about feel. If you play long enough you will build you bag to your strengths. I may not stay with this driver but I will come back and try another Cobra again if I don't. Went to have a fitting Nov 18. Tried Titleist T2, TM M4, Epic and Rogue,ST180 and Cobra F8. This F7 blew them all out of the pond. 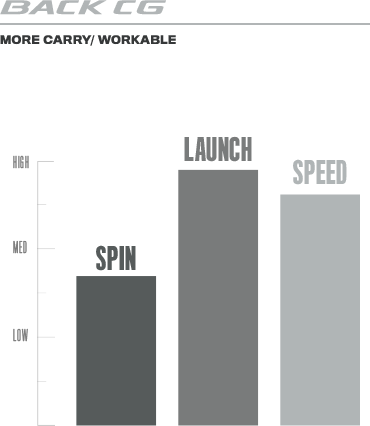 Accurate and long, higher smash, lower spin and 245 carry on an easy swing. Just fabulous and super forgiving if you don’t catch it. Love the club and the Orange is a bonus as it matches my gear! Just perfect in Nov 2018 for £199! I bought the F7+ driver the 1st of the year. I have not been disappointed. 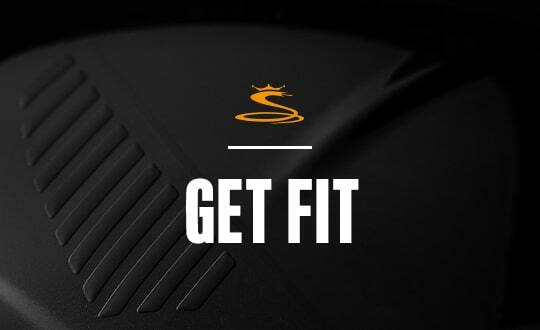 Great distance, outstanding feel and very workable. Let me start by saying i have always played callaway clubs. i was dead set on getting the Epic driver from day one. when i went to demo some drivers before buying, but my mind was already made up In my head. i was hitting the Epic driver and thats when the disappointment set in it was flat distance was terrible even when i hit on the screws. callaway claimed this club is very forgiving not to me. i started watching this guy hit a driver next to me the ball flight and distance was amazing shot after shot very constant after he finished i asked what club is that was, he said cobra F7. As soon as he walk away i picked up and stated hitting it. WOW!!! unreal this club was awesome the ball flight and the distance was better the any driver i have ever owned.in my life. i walked right up to the pro shop and purchased the club right then and there. oh yea and at $250 less then the EPIC. Bottom line don't believe the hype,hit this driver once and you will be sold. Went right to the driving range after getting fitted, and it amazing. The balls were flying over the 200 yard mark on every drive. Made a few adjustments, moving to 8.5 degree D, and made a big difference in reducing my slice. I recommend this driver if you want to increase distance and straightening your shots. Was averaging 210 yards and now a little more than 250 yards. Since being introduced to this driver I've but longer more controlled drives than I've ever hit. 57 years old driving 280 metres. Priceless. I love the F7. I went into the sporting goods store not considering buying a driver but wound up trying the new Ping product. After hitting a few disappointing drives with it I noticed the F7 sitting in the bag next to it. J tried it out and was hooked. With the new Cobra driver coming out I walked away with the F7 for only $170. I've played a couple of rounds and love it for a replacement for my R1. It is extremely forgiving and the stock shaft is not bad. Upgraded from my R1 Taylor Made. Has more pop and is a bit straighter. I ordered a heavier weight to put in the heel to help with my slice but the draw bias has helped quite a bit as well. I am a better than average golfer. I have yet to find a driver that does what it says. I'm not hitting it 300+ line most of the high handicappers but consistency and accuracy has improved. It sounds like the big boys drivers on tv all I'm missing is the BABABOOIE!!! Very accurate and easy to hit. Have not taken to the course yet but hit on the range. The Epic I have now is going in the corner and the Cobra in the bag. Are least 10 yards longer, able to control better and just an all around better feel. Hands down, best feeling driver I've hit. It is very forgiving and feels great even on mis-hits. very good easy to hit. It was nice getting a free gift. I would recommend it for golfers who play at a hight level, guess I feel like it enhanced a already great golfer like myself. Just saying I'm good and this makes me better. Traded my bio cell in for the new f7. Only hit it on the range so far but it seems a slight bit more forgiving than the bio cell. Distance seems to be improved by a few yards from what I can tell. I couldn't pass on the free 3 wood with purchase of the driver plus the driver comes with the distance tracking thing built into the club. I'm a fan. I bought the amp cell and hit it a mile. Then the fly z , hit 200 yards farther. Then the ltd hit that 400 yards farther. Ok so maybe that's not 100% true but I love the guys who write silly numbers. 15-20 possible but try and be realistic people. Do own all those drivers and love them. Almost all cobra in my bag. I went to the local golf shop last week to demo the F7 driver and I've liked it but I wasn't ready to pull the trigger. Then I got a promo email that said if you buy the driver you get a free hybrid/fairway for free........ great timing lol. I went to the same shop the next day and got fitted for the F7 with the Tensei blue shaft in stiff flex and I'm estatic with the purchase and performance I'm getting. I demoed with the 12g weight in back, but I moved it to the front and the distance I'm getting is amazing and it still feels like the weight is in back in the forgiving setting. And the sound...... it sounds similar to my PING but I feel more confident with the F7. The 3-4 fairway I got with this deal is what I expected. I've had the F7 5-6 wood for a bit and I absolutely love it and this club doesn't dissapoint. Now I have a matching set of drivers n fairways and I couldn't be any happier. This series is a great product and if you're here contemplating and reading this you should just bite the bullet n get it. It'll definitely be worth your while. I'm 2 months new to golf, period. I started out with a normal driver that was not draw biased or have any adjust-ability whatsoever. I'm left handed and of course I dont have "the swing" yet so all and I mean all of my drives would slice almost out of the fairway completely. I tried adjusting to a stronger grip and working solely on the swing and while it did help a lot, I still sliced 5 out of ten times. I decided to try the F7 driver with the heel weight capability as well as the option of setting the loft to 9.5 draw. This driver, along with still fixing my swing, has completely and I mean completely taken away my slice. My drives are straight as an arrow and piercing at the 9.5 draw loft setting with the weight in the heel. I could not be more pleased with any other driver out there. This is an amazing driver and I also have the F7 one length irons that are equally amazing for a new golfer as they completely take away needing to learn and practice different swing plains. You have a customer for life. As a mid to high handicap player, my swing needs the help of the club. The F7 Driver produced solid hits and good distance even on miss hits. And, when the odd good swing happened ... WOW! The shotgun sound off the club head and the piercing ball flight are stunning. Originally had the weight in the rear for forgiveness, not much extra yardage compared to the F6. Put the 12 weight in the heel slight draw and more roll- set it to 12 degrees of loft, regular shaft and BANG - only missed one fairway in 4 rounds. Best driver from Cobra yet - and $150+ cheaper! Full club fitting with local pro using both actual ball flight hitting out onto a range AND at same time having TRACKMAN data recorded. Cobra F7 with the Fujikura XLR8 61 (stiff) for me surpassed ball flight outcomes over 2017 models from other major brands, including the Callaway Epic, the Mizuno JPX900 and the Titleist 917D2. I was surprised. The F7 was consistently the lower spin for me, by around 1000 rpm, so I was achieving around high 1900 / low 2000 rpm off it. 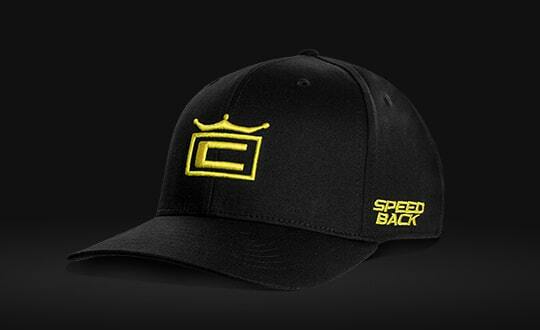 I was swinging the club with a clubhead speed of high 90's low 100's mph. One at 107 mph achieved a 'carry distance' of 245m. But the impressive thing was the miss hits, slower club speeds, were not dramatically dropping off, OR going off in crazy directions. I'd highly recommend people include the F7 into their Driver selection process. Upgrade Recoil shaft a must have! Tried the F7 at Corbra day at club. Hit all the other manufacturers recoil shaft is the bomb. Loved my Biocell, but the F7 is 15-20 yards longer with weight in rear. I'll try front next. So I have had the F6+ and loved it. As I mentioned in my review for it, it added 100 yards to my drives. So when the F7 came out, I had to go to my local store and try it out. I didn't think it was possible to improve upon what I found in the F6+ but Cobra has blown my mind again. This driver has added another 100 yards to my drives. It is truly amazing and unbelievable. Cobra, you've done it again. Although my F6+ isn't that old, I had to buy this driver. Cobra, you can't do this again next year. I don't think it's possible to hit it any farther and I can't afford to buy a new one again next year. But I can promise you I will try it out. my cobra fitter moved the weight forward and to offset that moved the loft higher. that appears contrary to an earlier review. 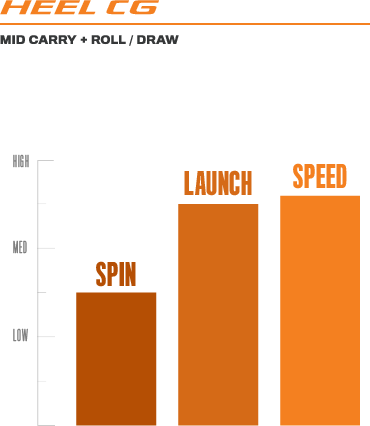 it reduced my spin by 1000 rpm and should really increase my roll. Went to Golf Galaxy expecting to buy the Callaway Epic or Titleist 917 driver. Callaway felt dead and the Titleist required a phd to understand all the fitting possibilities. Then tried the Cobra f7 with the weight in the forward position. 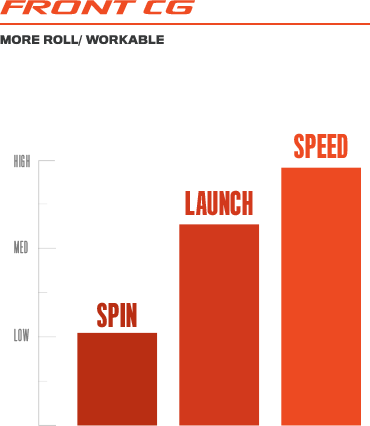 Spin at 2200 with 16 launch produced 254 yard average with slight draw. Not bad for a 66 year old. Got the blue and its beautiful. The large footprint is so inviting to hit and extremely forgiving. Take my advice and buy the Cobra f7 and put 150.00 dollars in your pocket. Another winner for Cobra. Just bought the K7 left store went right to course, played quick 9 after adjusting on the range and hitting 20 times hit it 304 on first hole of hermitage golf course (prez) a big hitter for my age ,but any older bros. this is the best club of the past 10 years not to mention the tracking technology. Be the first in your group! Bought the F7 a week ago in a fitting session. Numbers on the launch monitor were far more consistently better than the new Callaway, Titleist and TaylorMade offerings. I'm around a 15 handicapper with clubhead speed of 100-105 mph. Obviously, I opted for the stiff shaft. Took it to the course on Saturday, on a full 18 I missed the first two fairways (not by much) adjusted the wieghts and only missed one from there in. The last miss was trying to reach a green that was 298 away. This is my new favorite club! Can't wait for the season to really kick in! Hit the new F7 driver and had outstanding numbers on tracman. Will be getting this bad boy asap. It took a great club to knock the F6 out of my bag but the F7 gave the ball flight I've been looking for. The carry distances were similar but now I get the roll I've been looking for??? Hit it today vs Wilson and Callaway ... absolutely NO contest!!! This club surprised me ... went in to hit the new Wilson ... but after hitting the F7 ... it was MUCH more accurate and very consistent ... what a great club!! !